Fashion designer Alexander McQueen was found dead at his London home, a spokesman said. The body of the 40-year-old British fashion icon was found at his home on Thursday morning. The circumstances of his death were not immediately known, though the designer was known to be depressed following the death of his mother earlier this month. “Lee McQueen, the founder and designer of the Alexander McQueen brand, has been found dead at his home," the rep for the family said in a statement. "At this stage it is inappropriate to comment on this tragic news beyond saying that we are devastated and are sharing a sense of shock and grief with Lee’s family. Police were called to the Green Street residence in central London at 10:20 a.m. and found a man dead, according to the AP. "We don't have any information in terms of circumstances," his company's communication's director Samantha Garrett told the AP. McQueen's death comes just before the start of New York Fashion Week and on the same day one of his lines, McQ, was slated to be shown. The show was later canceled. The designer had been grappling with the recent death of his mother, grief that he chronicled in posts on his Twitter page. "i'm letting my followers know the [sic] my mother passed away yesterday if it she had not me nor would you RIP mum," he tweeted Feb. 3 on the now-defunct page. A minute later, he added, "But life must go on!!!!!!!!!!!!!!!" On Sunday, he fired off another missive, "Sunday evening been a f---ing awful week but my friends have been great but now i have to some how pull myself together and finish with the HELLS ANGLES & PROLIFIC DEAMONS!!!!!!!!!!!!!!!!!!!!!!!!!!!!!!!!!" 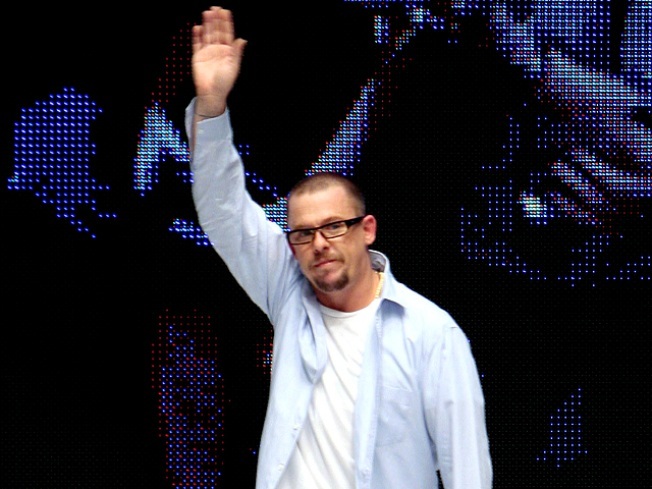 There were widespread media reports speculating that McQueen may have committed suicide, but there was no official explanation of the circumstances of his death. McQueen most recently made headlines when he debuted his 2010 spring collection in Paris last fall, showcasing his 10-inch high lobster-claw shoes that Lady Gaga later sported in her music video for "Bad Romance."